Enjoy a stay in a 5-star boutique hotel that dates back to 1856. 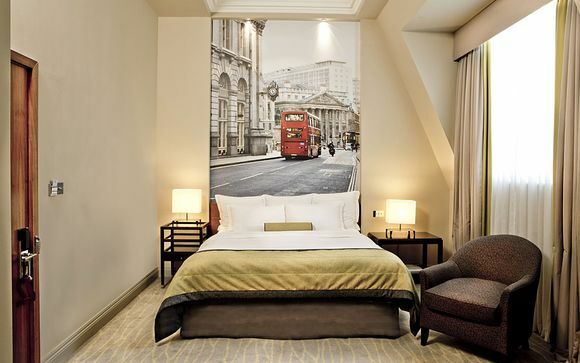 This central London hotel boasts contemporary styling and modern British dining. This Marriott hotel is situated in the oldest part of the capital, where distinguished landmarks such as the Bank of England, St Paul's Cathedral, the Tower of London and London Bridge are located. Our members will be accommodated in a beautiful Deluxe Room! Welcome to Threadneedles - a five-star boutique hotel in the centre of London that fuses grandeur and simplicity in the very heart of the City of London. 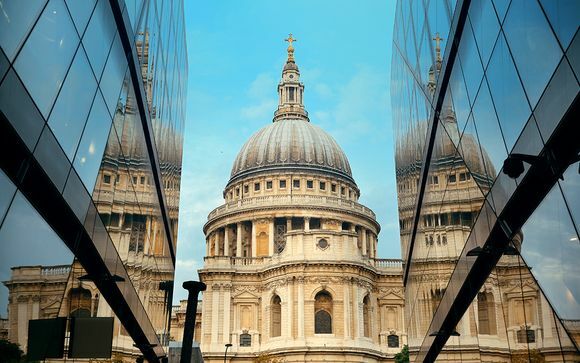 Come and visit a historical part of London where grand buildings from throughout the centuries sit side-by-side, while the rest of London is still at your fingertips. This area is defined by regal Georgian houses that are interlaced with large grass square dotted with famous statues. London's famous pub culture is thriving in this area: chic cafes and characterful pubs serve a thriving community of students, academics, tourists & professionals while trendy restaurants serving a dizzying variety of cuisines line the streets....so set out and explore! 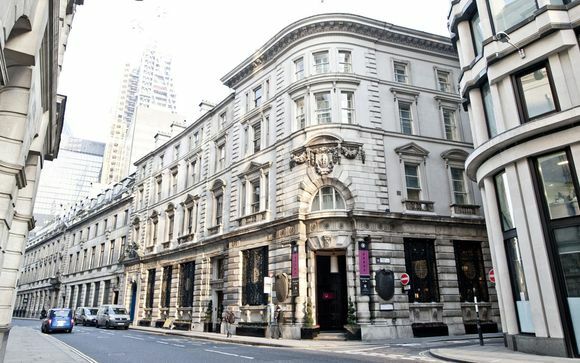 Stay at Threadneedles, Autograph Collection, a boutique hotel in the heart of the City of London and relax in the hotel's eclectic mix of old and new design; from the striking stained glass dome above the lobby, dating back to 1856, to contemporary styling in each sophisticated room and modern British dining. Find warmth in the walnut walls and grandeur in the cool marble floors of this Victorian banking hall, cleverly converted into a 5* hotel. This offer is based on a complimentary upgrade to a Deluxe Room. Deluxe Doubles at Threadneedles, each with a small sitting area, have stylish interiors decorated with rich fabrics, wood furnishings, and soft, innovative lighting. Each room features complimentary shoe shine service and daily newspaper as well as mineral water, a turndown service and luxury toiletries in the bathroom. In-room technology includes a DDI telephone line, voice mail, broadband, fax and modem point as well as free Wi-Fi.